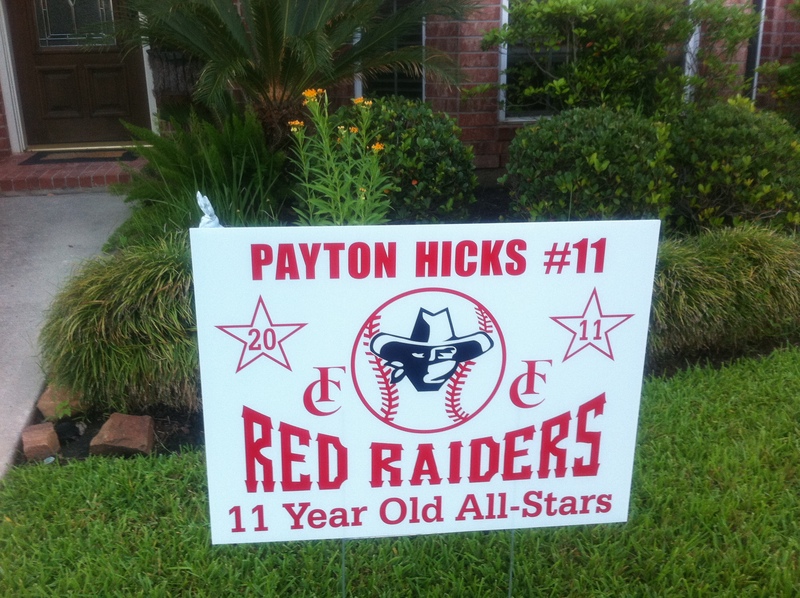 Summer in Texas means a few things: happy kids, hot & humid days, and baseball All Stars. Texas is a baseball powerhouse in general, and our neck of the woods is no different. 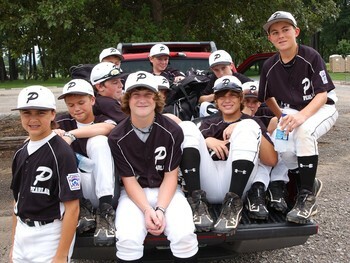 We’re right down the highway from Pearland, whose Boys of Summer blazed a trail from Texas to Williamsport, Pennsylvania, last summer to go nearly all the way in the prestigious Little League World Series. All Stars is an exciting time. Grueling, too, with practice 7 days a week until the games start. We plan our vacations around the All Stars schedule, and schedule our daily activities around practice. The first tournament begins Tuesday, and I sure hope the Big Red Machine blows through District and Sectionals the way they did last summer, blazing a trail straight for the State Championship in Tyler, TX. 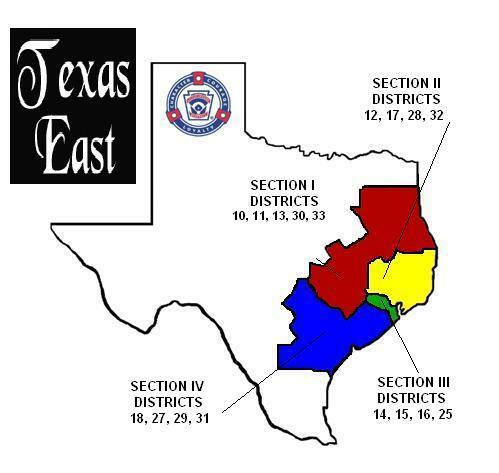 Since I missed pretty much all of it last summer, I didn’t realize that our district, Texas East Little League, “stretches from the Sabine River in the East to I-20 in the North to I-35 on the West to San Antonio and from there to the Gulf of Mexico and back to the Sabine River,” according to the Texas East website. We’re that little strip of green in the middle, District 16. Texas is a big state, the second-biggest in the country in both population and area, and baseball is serious business around here. I don’t know how many Little Leagues there are in Texas, but considering that this great state is 773 miles wide and 790 miles long and populated by some 25 million people (thank you, Wikipedia), I’d say there are a bunch. I’ve written a lot about having missed so many of Payton’s games last summer. Don’t worry, I’m not going to re-hash it today. Suffice to say that if it had just been the bilateral mastectomy in mid-May, I would have been in fine shape for the All Star summer schedule. But no, the post-mastectomy infection had to surface, and the resulting hospital stays and surgeries meant there would be no trip to Tyler for me. From the moment that infection reared its ugly head, my life became one complication after another, and I began to live the famous Winston Churchill quote of “If you’re going through hell, keep going.” Just do it without being able to watch your kid play the best baseball of his life. From mastectomy to infection, to nearly 30 days in the hospital, to multiple tissue excisions, to saying good-bye to the tissue expanders, to a shaky recovery involving all manner of antibiotics and home health, to slowly very slowly getting a semblance of a normal life back to finally getting around to reconstruction, to the long recovery process after The Big Dig. Quite a circuitous route I took, with very little baseball. So this summer, I’m going to soak it all up. Every scorching minute of it. Since Texas is in a major, seemingly unending drought, we probably won’t have to worry about getting rained out, like we did a few times last summer. I’ll be in my blinged-out shirt, cheering hard for the boys in red, and reflecting back on how much I missed last summer at the ballpark. Such great memories of Little League. My husband coached Little League & one of his kids is now pitching for the Minnesota Twins. It’s hot here in the Texas Hill Country so I know what you’re going through girlfriend, but am really happy the infection etc is behind you. I’m cheering for you as well as the boys in red. 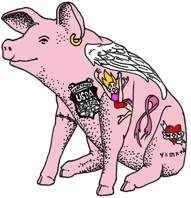 I’m with Brenda: I’m so glad the infection is behind you and that you are enjoying all East Texas has to offer. My oldest son was in Little League and loved it. Now he’s 27, but not playing for the Big Leagues. But the memories are still fresh and beautiful. You go, girl! Welcome back baseball mom! So glad you are living in the moment because right here, right now life is happening. As tiring, boring and monotonous as daily life can be it’s where the real memories are made. Tell Mr. P that I’ve got his back. Oh, and is that John Candy? well, i kinda enjoyed last summer and your hospital stays…..but then I guess we were doing the play by play in the hospital room!!! I’m so glad you get to physically participate as a member of the crowd this year!! But I’ll miss our time connecting over the score thing that Trevor was doing via internet!! Love you!